10 songs celebrating 10 years. This compilation album includes new studio versions of songs that until now were only recorded live and previously unreleased songs. 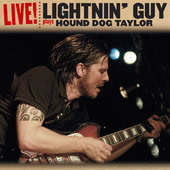 After recording his Hound Dog Taylor Tribute album in 2011, Guy Verlinde now presents this high-energy album with 11 originals in that same tradition and spirit with a contemporary sound. 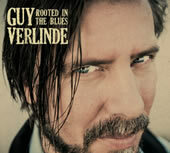 The brand new album from Belgian #1 blues artist Guy Verlinde, formerly known as “Lightnin' Guy”, is his most very personal album so far. "Better Days Ahead" is a blues & roots album with a typical "Guy Verlinde" contemporary twist; an album about hope, positive energy & about how to overcome the setbacks in life. For all you blues lovers who like slide guitar & harmonica and who are open for some new shades of blues. 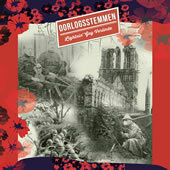 "Oorlogsstemmen" contains all music from the educational concert for youngsters about The Great War (1914-1918): title track "Voices Of War; the war poem "A Wooden Cross" by Siegfried Sassoon, music & Dutch translation by Guy Verlinde; "Let’s Work Together" from Wilbert Harisson; "Yser" & "99%" from the "Blood For Kali" album and instrumental versions of "99%" & "Voices of War"
© 2013 Copyright Dixiefrog Records –DFGCD8764. 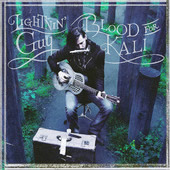 This album features 12 originals, exploring new musical directions where he blends the love for traditional blues with his contemporary songwriting; creating a unique sound & style. Not only does his music head into new directions, also his lyrics reach deeper & further than before. 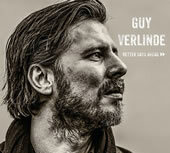 This album shows you the acoustic side of Guy Verlinde as he only plays on acoustic resonator & weissenborn guitars, harps & his old suitcase as a kick drum. 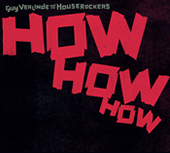 "Hound Dog Taylor & the Houserockers were all about rhythm and groove. 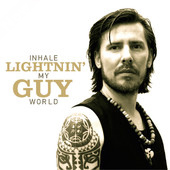 Guy Verlinde pays tribute to his slide guitar hero & inspiration by playing his music in the same setting as he did. This album and video's are a perfect alternative to recapture the magic of a Hound Dog Taylor concert." "Guy became a lot more than only a bluesman. 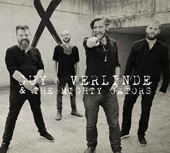 This live record shows a versatile all rounder, dyed in the wool of a wide range of southern American musical styles"
2009 © Copyright Guy Verlinde & The Mighty Gators "Live from the Heart' is a powerful live album and takes you on a trip from Chicago to New Orleans. 15 steaming songs in 80 min. perfectly capture what an audience experiences during a Lightnin' Guy & the Mighty Gators show"
2008 © Copyright Guy Verlinde "Lookin' Back reflects Guy's development as a young blues & roots artist. This album is a selection of studio, live & previously unreleased songs recorded between 1998 & 2008."